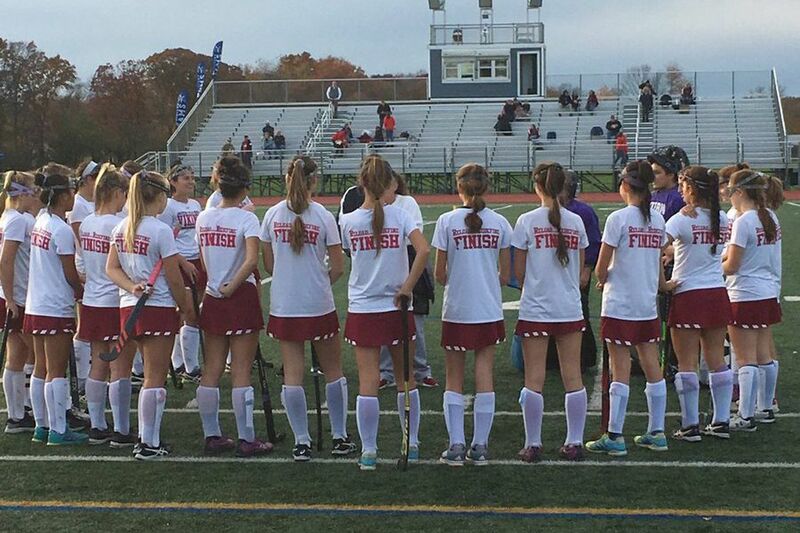 The Eastern field hockey team beat Rancocas Valley, 10-0, in the NJSIAA Group 4 semifinals. The Vikings will face the winner of Morristown and Bridgewater-Raritan in the championship Saturday. Izzy Bianco and Amanda Middleman each recorded a hat trick as the Eastern field hockey team blanked Rancocas Valley, 10-0, in the semifinals of the NJSIAA Group 4 playoffs Wednesday. Ryleigh Heck, Linsey Champa, Kara Heck and Riley Hudson added goals. The Vikings will play the winner of Morristown and Bridgewater-Raritan Saturday in the championship. Cassidy Strittmatter scored in Seneca's 2-1 win against West Deptford in the semifinals of the NJSIAA Group 2 playoffs. The Golden Eagles will take on West Essex in the finals on Saturday. Bishop Eustace beat Camden Catholic, 5-3, to win the Non-Public Championship. Kayla Frank tallied a hat trick to help Moorestown defeat Ocean City, 7-0, in the semifinals of the NJSIAA Group 3 playoffs. Catherine Dare, Morgan Darmo, Julia Darmo and Madison Sever scored. The Quakers will play Warren Hills in the finals on Saturday. Natalie Naticchia scored twice in Haddonfield's 4-0 victory over Woodstown in the semifinals of the NJSIAA Group 1 playoffs. Maddie Bickel and Abby Marthins added goals. Ashley Campo, Mia Frontino and Marthins recorded one assist apiece. The Bulldawgs will take on Shore Regional Saturday in the championship. Lauren Bone and Hannah Creighton scored as Schalick defeated Pennsville, 2-0, in the semifinals of the South Group 1 playoffs. The Cougars will face Audubon in the championship on Friday. Audubon moved on with a 3-1 victory over Woodstown. Morgan Hearn and Emily McGrath added goals. Kelli McGroarty's goals led Eastern past Washington Township, 2-0, in the semifinals of the South Group 4 playoffs. Emily Eustace had one assist and Olivia Alves recorded six saves. The Vikings will play Shawnee Friday in the finals. Haley Benson and Alexa Endres scored to help Shawnee advance with a 2-0 win against Kingsway. Cici Imhotep scored two goals as Moorestown rolled past Ocean City, 5-0, in the semifinals of the South Group 3 playoffs. Isa Arvelo, Maggie Brown and Rylee Brown added goals. The Quakers will take on Toms River South, which beat Mainland 3-2 in the semifinals, on Friday in the championship. Allison Okomski scored in Cinnaminson's 1-0 victory over Haddon Heights in semifinals of the South Group 2 playoffs. The Pirates will face Delsea in the finals on Friday.